If you’re like me, you’ve received a number of Christmas cards in the mail the last few weeks. It’s great to receive greetings from friends across the town, state and country. How did this tradition begin? From one of the most prolific chromolithography firms in the United States in the mid to late 1800s. 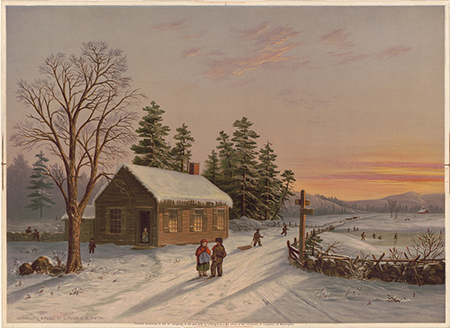 Louis Prang immigrated to the United States from Europe in 1850. With a background in wood and metal engraving, Louis began printing posters, advertisements and “scrap” using a relatively new reproductive process (1796) called chromolithography. Lithography literally means “stone writing” in Greek. An image is drawn on a stone with a grease pencil and then coated with water. The grease repels the water and then the stone is inked, with the ink sticking to the grease. Chromolithography refers to the use of multiple stones to create color prints. Prang began printing scrap, which were postcard-like images that Americans collected. These images were beautifully produced, sometimes using as many as 40 stones to build up the subtle, stunning color. Louis looked to England where cards were sent to friends and family at Christmas time and in 1873 printed the first American Christmas cards. Over the years he included images of Santa, reindeer and Christmas trees. By the 1880s, he was printing about 5 million Christmas Cards annually. 140 years later, we’re still carrying on the tradition of sending beautiful cards. Now we upload photos online, choose a theme, and then wait a few days until they’ve been digitally printed and sent to us. 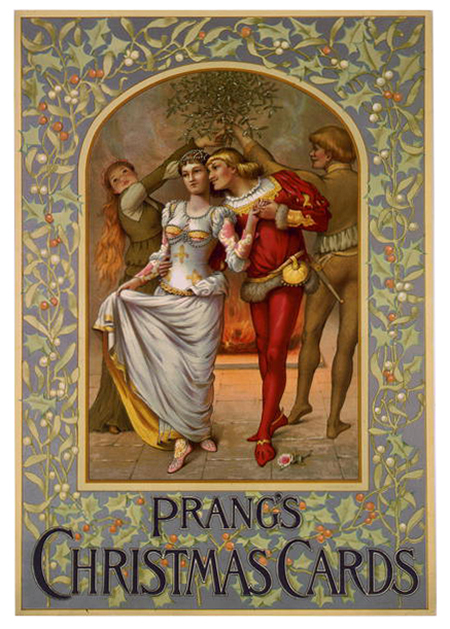 A different reproductive process, but the same result as Prang’s: beautiful cards to share with others.